Real estate in Vermont doesn’t get any more idyllic than in West Windsor. With its stately country estates off Rush Meadow Road, West Windsor provides breathtaking scenery and rustic landscapes. To the south stands the majestic Mount Ascutney, recently established as a protected recreational area to service West Windsor and other surrounding towns. Here locals and travelers can avail themselves of myriad activities from hang gliding and skiing to hiking. mountain biking, and bird-watching. 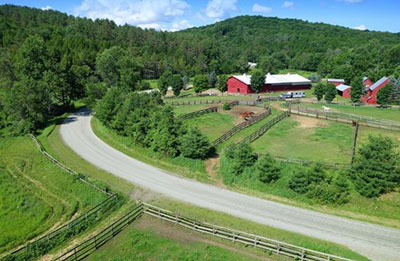 The area of West Windsor, Vermont has a large equestrian community and features many real estate opportunities for horse owners. The wide open spaces and verdant surroundings are ideal for horse farms and, indeed any agrarian activities. If you’re a horse owner looking for real estate in Vermont, West Windsor is the perfect place to cast your g(r)aze. Every year, an international group of over 300 runners and horseman gather in West Windsor to start off the Grand Slam Series of Ultrarunning with the VT100, one of the original 100 mile runs in the United States, or race the Vermont 100 and Moonlight 50/75 Endurance Rides. A testament of endurance and stamina, this historic race is run/rode through the hilly back roads that snake through West Windsor and the surrounding area. Bringing athletes, horseman, and spectators from around the country, this contest is one of the biggest long-distance endurance races of the year. See for yourself why West Windsor, VT, is a town we keep close to our heart. With its beautiful natural landscapes and quaint countryside, it offers something for everyone in the family to enjoy. 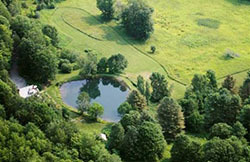 Check out West Windsor, VT real estate today.